Reputation Management Part Five: Google yourself! Throughout this series we’ve looked at what reputation management is, what Google Alerts are and how to use them, and what to do with the information you receive. There is one more element to managing your online reputation: Googling yourself. 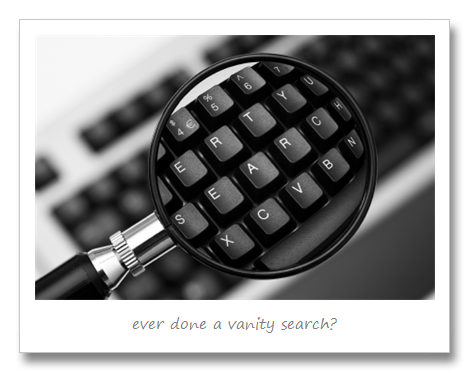 Everybody does it, and nobody likes to admit to it, but Googling yourself (or your business) is one of the easiest ways to find references to yourself. The main thing, though – the reason why Googling yourself is actually important – is because Google searches look for old information. By comparison, Google Alerts email you when something new pops up online. You might not consider that this ‘old versus new’ is of any import. But when you think that Google trawls Twitter, Facebook, and LinkedIn, as well as every other website that exists, you may start to feel otherwise. 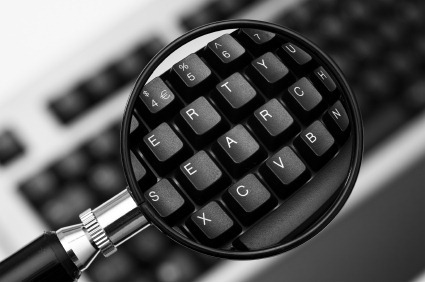 If anybody has ever said anything online about your business, and you Google it, you are likely to see it. If you rely solely on your new Google Alerts, all of those older comments will pass you by. This is also why it is important to stay on top of your professional and social networking profiles. Make sure they’re always up to date, and active. They not only provide good ‘link juice’ when you do, but they help to establish your business and your brand. Remember: Even if you are not Googling yourself regularly, other people may be! Running a search on yourself occasionally is a great way to remind yourself to keep those sites up to date. You hit up Google… what next? The first thing you want to do when you see page listings is to ask yourself, ‘Do I have control over this page?’ for each result. If you do have control over it, make sure it looks good in search results. Tweak the title, edit the teaser or summary text. Make it as inviting as you can. There are possibly a few sites you may have signed up for – especially in the early days of your business – and completely forgotten about, so this is one way of unifying your online presence. If you don’t have control over it, and if you are not happy with what it says, try to contact the site or page owner. Find out if you can adjust the text somehow. Most webmasters are fairly relaxed about this type of thing. Let’s say that you Google yourself and you spot negative content that you can’t change, and can’t respond to. If you believe that it is likely to impact on your business, you might want to consider professional public relations help to get over this hurdle. There are tons of reputation management and PR firms out there that can help you through this. But if it isn’t quite such a big deal, try getting in touch with whoever owns the site and finding out whether it might be possible to get it changed – or to at least get your own response posted. There is never any harm in trying to build new, good relationships, and of having the confidence to respond to something that needs your input. Keeping tabs on your business’s reputation is a vital part of your public relations and crisis management strategies. Given the breadth and depth of the internet, it’s something that should be an essential part of monitoring your business. Thankfully, doing this online – via Alerts and regular Googling – is simple to set up and easy to keep an eye on. Once you start doing it, you’ll wonder why you hadn’t done it before. Especially if the results are positive for you, and you find yourself able to throw even more sparkle into your marketing.